Autumn is the favorite season of many landscape photographers, who delight in its blazing hues of red, orange, and yellow. We seek out subjects and compositions that allow the bold color of autumn to take its place as the star of the show rightfully. However, spring is an often underappreciated season that puts on its own beautiful display of foliage. Spring’s colors may be more subtle than those of autumn, but that should not diminish their appeal to nature photographers. 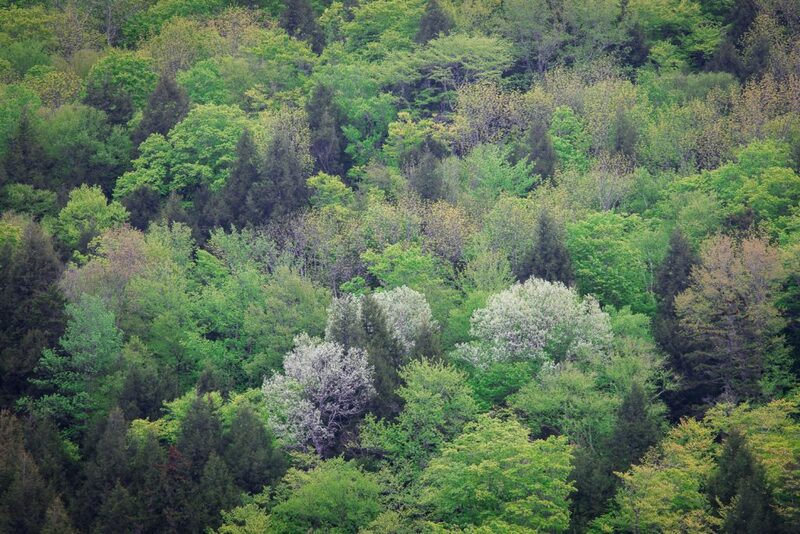 The colors of spring foliage are more delicate with softer, pastel tones. This quieter display of color can be quite lovely if you want to create a calm and gentle feeling in your images. In autumn some photographers are obsessed with finding “peak” color, which can lead to missing out on other exciting opportunities. 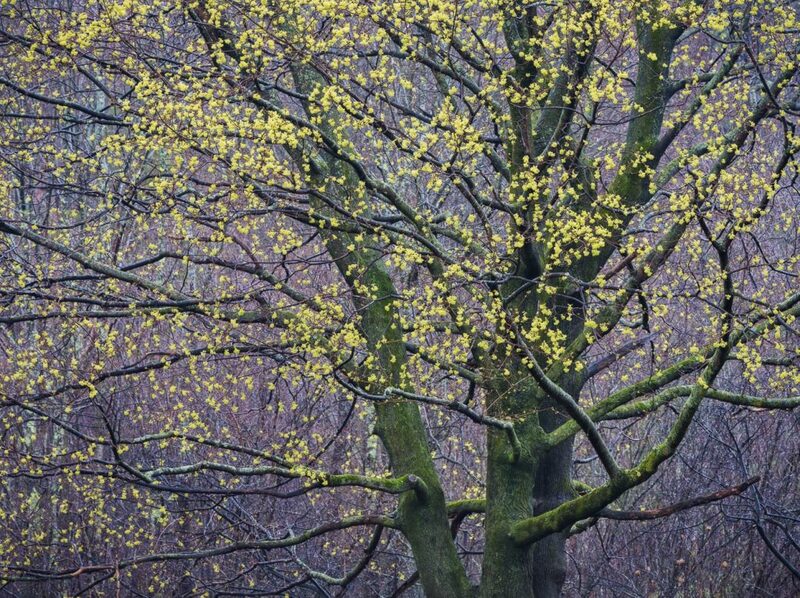 The more understated nature of Spring foliage lends itself to a slower, more contemplative approach to photography. In autumn you can often rely on strong color alone to carry an image, but in Spring you have to work harder to find ways to emphasize the subtle colors. Finding these colors is a more significant challenge, requiring us to be more creative than simply relying on bold color. But this extra effort can also make spring images more satisfying to create. The good news is that your favorite autumn shooting locations usually work equally as well in spring. Revisiting the same places in different seasons is a great way to add some variety to your portfolio of images. Spring is a time of emergence and growth. The landscape goes from winter’s drab grays and browns to many shades of red, yellow, and green. 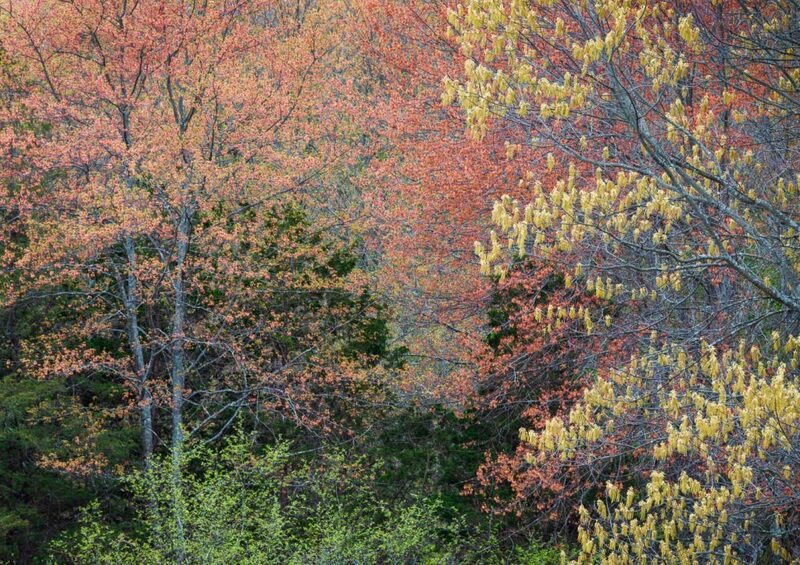 The warm colors of spring foliage have a direct relationship to their autumn cousins. Pigments from Anthocyanins, the same substance responsible for the brilliant hues of autumn, also create the colors in spring buds and leaves before they produce chlorophyll. 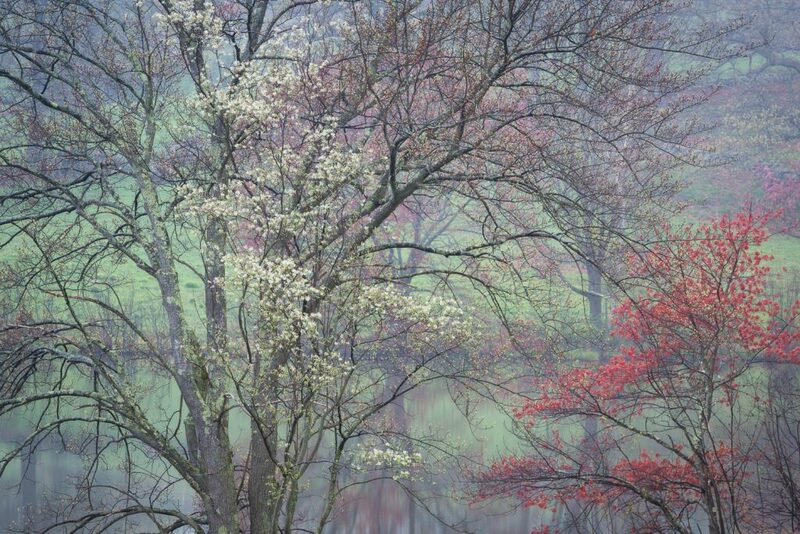 Emphasizing the delicate hues of spring requires special attention to color theory in your images. Avoid over-saturating your images, since saturated colors make a loud statement. If you want to showcase the quieter, softer colors of spring, then you need to take a more subtle approach and use a lower level of saturation. This creates a more natural look and allows the delicate spring tones to stand out better. Look for harmonious color schemes in nature. Complementary colors work well, such as yellow leaves against a blue sky. Also look for analogous colors that are similar to each other, such spring’s many tones of yellow and green. In processing yellows and greens, there is a delicate balance between using similar colors and retaining color contrast. Color contrast is often achieved by playing warmer highlights off against cooler shadows. Avoid having too warm a global white balance in your forest scenes, and keep your shadow areas cool, or you will lose this cool/warm contrast. Also, try to achieve some color separation between yellow and green by using selective color adjustments. If your greens are too yellow, use the HSL sliders in Lightroom, or the Selective Color tool in Photoshop to shift the hue of yellows slightly to green. The emergence of spring color can happen quite suddenly, and it does not last long. Photographers have to work quickly to capture the ephemeral beauty of the spring season. While this color may be short-lived, you will come away with a great variety of images that tell stories about the rapid progression of the season. 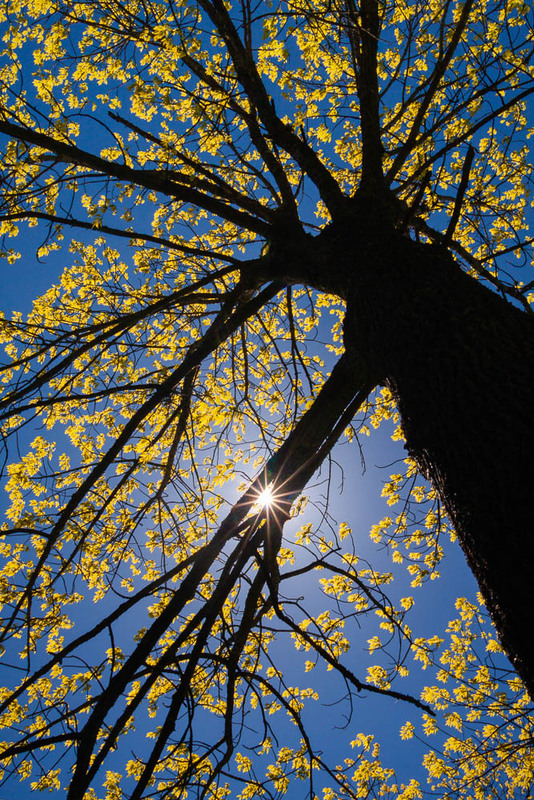 The spirit of trying to capture fleeting moments in nature during spring is embodied by the poem titled “Nothing Gold Can Stay” by the American poet, Robert Frost. Spring is notorious for cloudy and rainy days, but this type of weather can work to your advantage. When foliage is wet, its colors become richer and more saturated, which is a perfect way to showcase the subtle colors of spring. Just remember to use a polarizing filter to remove glare from wet vegetation. So when those April showers do appear, outfit yourself and your camera with the appropriate rain gear, and get out there to take advantage of what can be some of the most rewarding conditions for springtime photography. The low contrast light of overcast days is perfect for photographing woodland and forest scenes. Overcast light is very soft and even, with no harsh shadows. This type of light allows us to emphasize the delicate colors, details, and textures in a scene. And because dull, gray skies are not very interesting, try shooting intimate scenes that exclude the sky from the composition. Similarly, you want to avoid having large patches of white sky showing through tree branches. They can create distracting hot spots in your image, which may be hard to clone away later in post-processing. Foggy weather is common in spring, and shooting in these conditions can give your images a lighter and more delicate feeling. Fog can also create a mysterious atmosphere, which usually works well with forest scenes. A common challenge with photographing forests is finding ways to deal with their chaos and complexity. That’s where the diffuse look of fog can be the “great simplifier” by removing unwanted distractions. 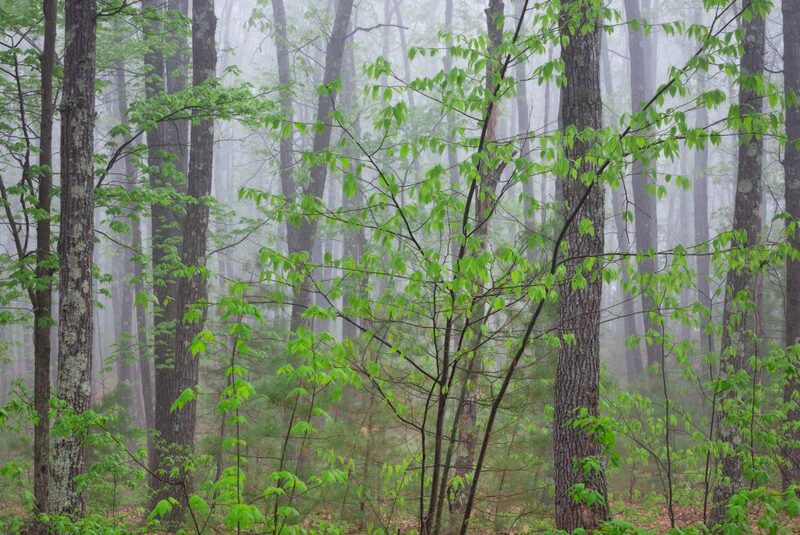 When shooting in foggy forests, you can create a sense of depth by having some trees relatively close to your camera. This allows you to retain contrast, sharpness, and color in the foreground, which can then be played off against the softer, more diffuse background. Be careful to avoid underexposure in fog images. In post-processing, you will want to create a lighter feeling for more vitality in your shots. 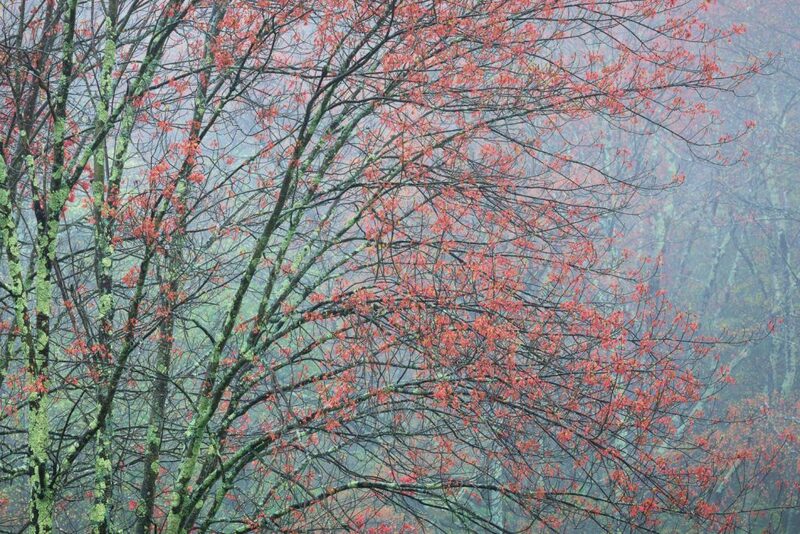 This will help prevent your images from having a dull, overcast look. You can enhance your fog images and create a more painterly feeling by using negative clarity in Lightroom, or the “Orton Effect” in Photoshop. Be very subtle when taking this approach, it can be easy to over-do it and create an unnatural look. I usually apply Orton at very low opacity, and only to the highlights of an image. To me, the essence of spring is that it is a time of change and growth. My most successful spring images are those that communicate my feelings about witnessing the transformation that takes place as the season comes to life. The spring landscape visibly changes on an almost daily basis, providing a wealth of photographic opportunities. A tremendous source of inspiration for my photography is the transition of trees from bare branches to colorful buds and flowers, and finally to those wonderful lime green leaves. In New England where I live, the hardwood forests contain a variety of trees including sugar maple, birch, beech, and oak. In spring these species create a wonderful mosaic of red, orange, yellow, and green. Sometimes it is hard to believe that these warm colors are from spring and not autumn. The changes that spring brings to the landscape make for some of the most compelling nature stories that any season has to offer. To successfully tell these stories in your images, you need to look beyond the obvious subjects and compositions. Find inspiration for your images by slowing down to immerse yourself in the rich details and colors of the season. Seek out the intricate patterns of tree branches adorned by colorful buds and flowers, or the varied tones of pale green leaves. 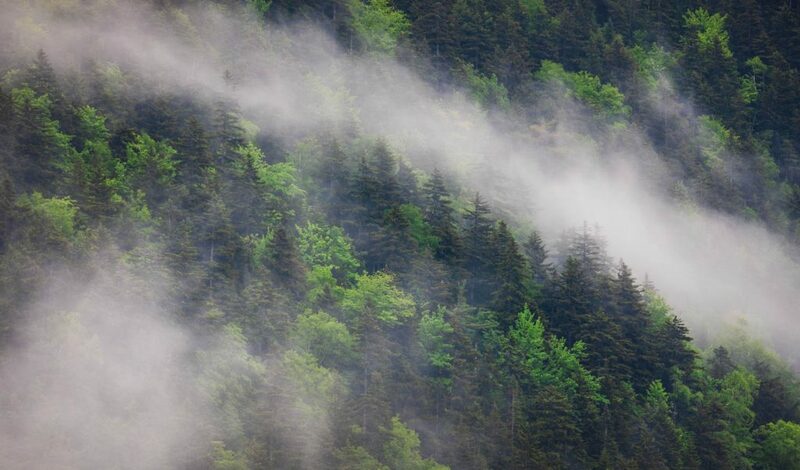 Grab a telephoto lens to extract a colorful tapestry of trees from a hillside. Use trees decked out in fresh, lime green leaves to frame a towering waterfall. 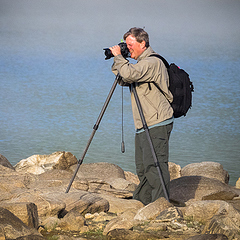 Focusing on intimate views of nature can help you to avoid the tripod holes and create more unique looking images. The ability to slow down, observe details, and connect with nature becomes a critical part of creating more meaningful images. Perhaps during no other time of year are the nature stories more exciting and vibrant than in spring, that marvelous season of emergence and growth. Tell these stories through your photography, and your images will capture the essence of spring. Open your mind to the creative possibilities that spring has to offer, and you will be richly rewarded. 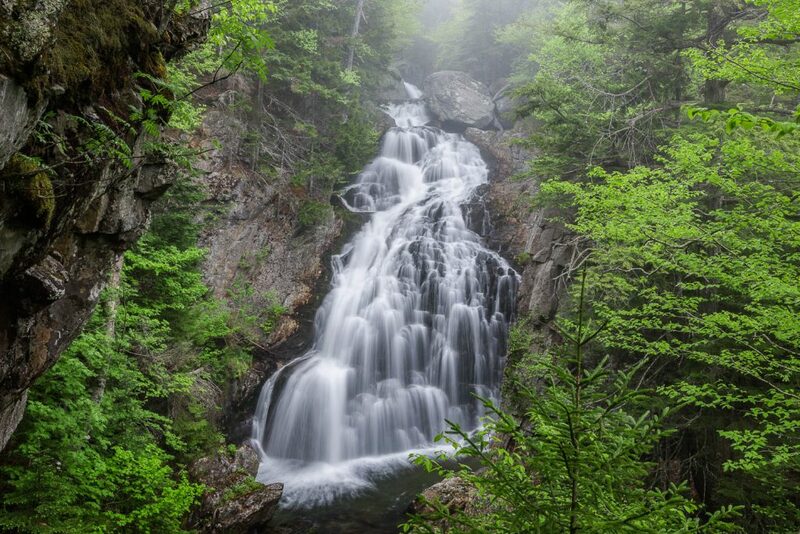 Ed is an amateur nature photographer who lives in Massachusetts. His work concentrates on landscape and macro photography. 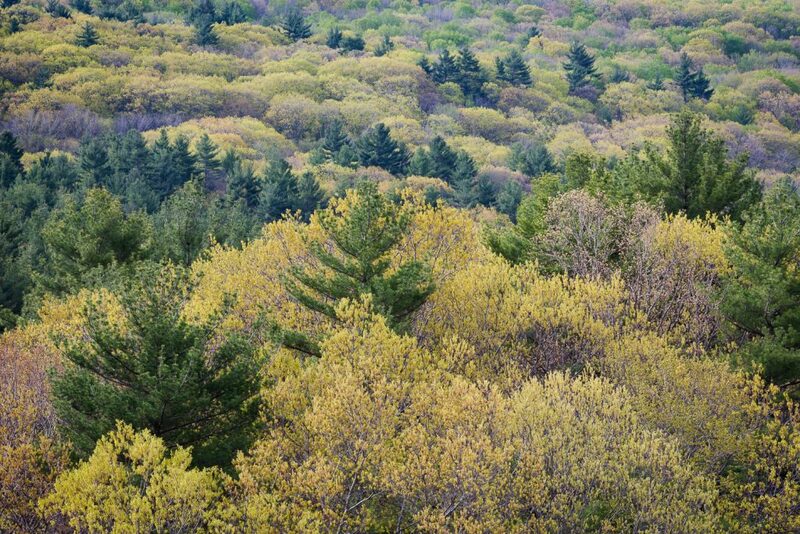 Ed’s passion is photographing the changing moods of New England’s wilderness landscapes during all four seasons. While each season has its own special character and appeal, the colors of Spring foliage are one of his favorite subjects.